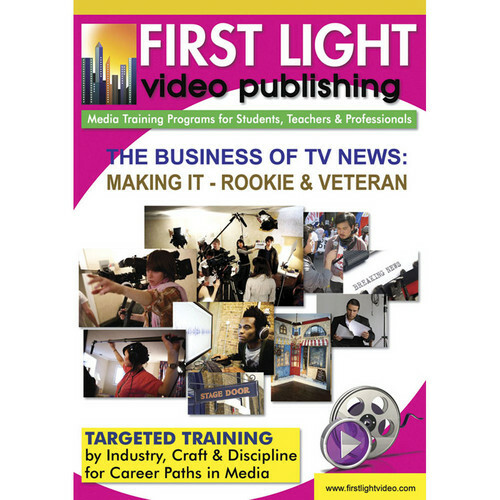 The Business of TV News: Making It - The Rookie and the Veteran is a 45-minute DVD from First Light Publishing that shares the stories of two TV news reporters: one, a first-year reporter at a small-market station, and the other, an anchor in the Number 2 market in the U.S. These are valuable, real-world stories that will be relevant for any aspiring TV news reporter. Cambi Brown shares her story of tears, frustration, and triumph from her first year as a reporter at KWST Yuma, Ariz. Frank Buckley, of KTLA Los Angeles, tells his story of how he rose to the top. These are important stories for any aspiring reporter who's ready to move away from home to a small-market town and get paid little to nothing – just to get a start in TV news.